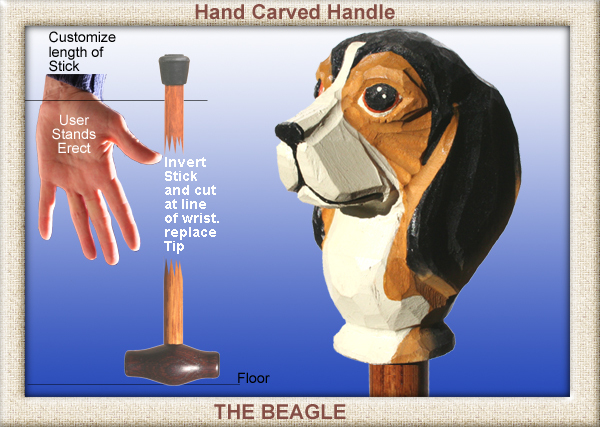 The Beagle is a gentle, sweet, lively and curious dog that just loves everyone! A happy little tail-wagger! Sociable, brave and intelligent. Calm and loving. Excellent with children and generally good with other dogs. Add this stick to your collection. Stick details : Length 90 cms Diameter 20 mm of Forest Ash sometimes called Tasmanian Oak. 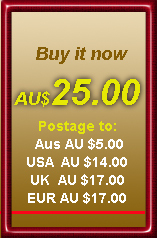 This postage rate covers USA, Asia/Pacific, Canada and the Middle East. Elsewhere contact us.